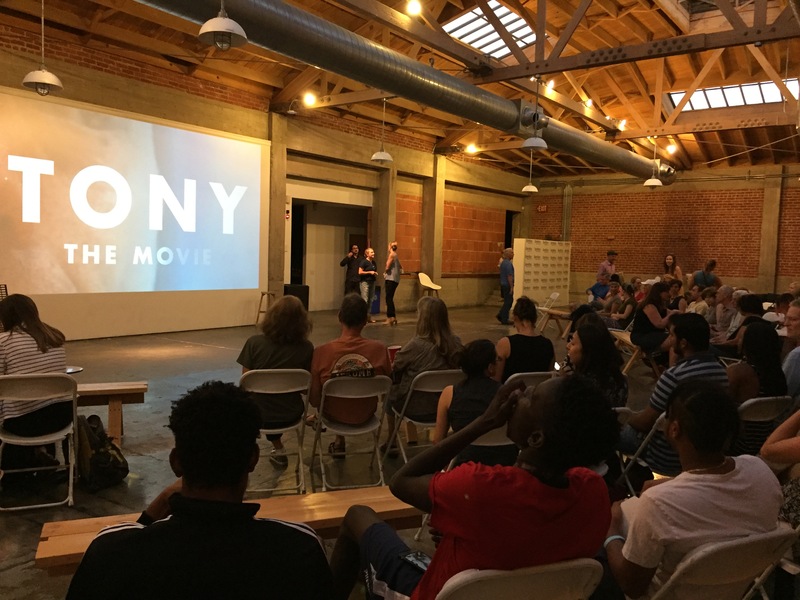 On October 24th, filmmaker Dennis Stein shared his latest project, Tony: The Movie, with the local community, which was followed by group and panel discussions at Sandbox, East Village, San Diego. 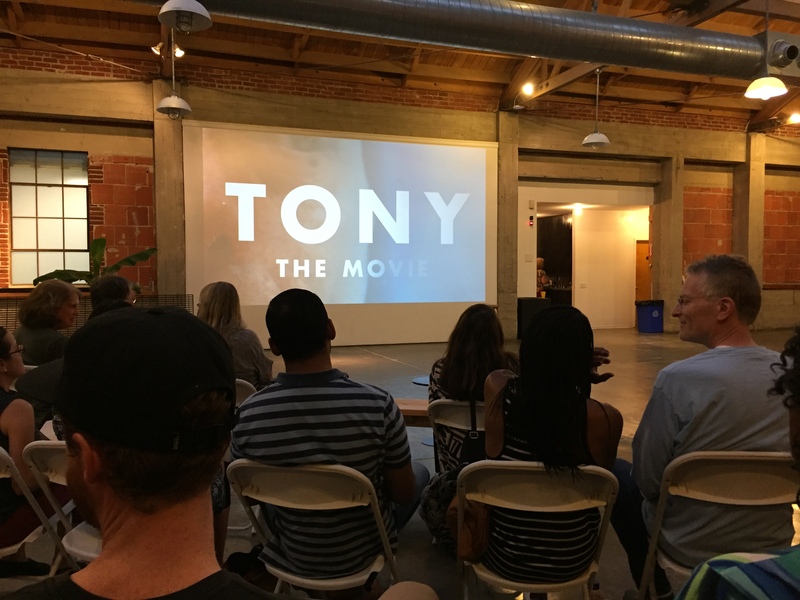 This documentary depicted homelessness through the eyes of Tony Rodriguez. 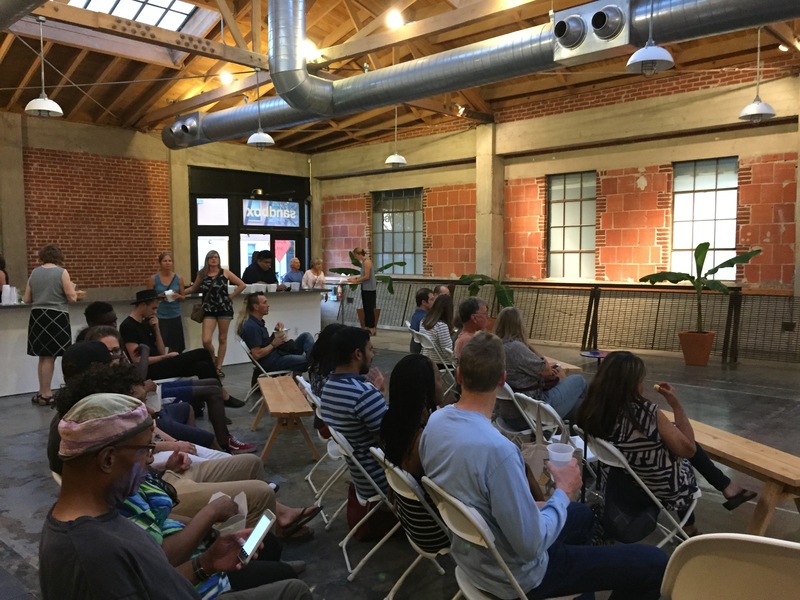 Showing the challenges that San Diego homeless face day in and day out on the streets of the city. 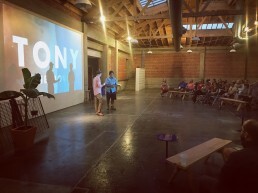 Through his perspective it demonstrated the alternate ways other cities are tackling homelessness. 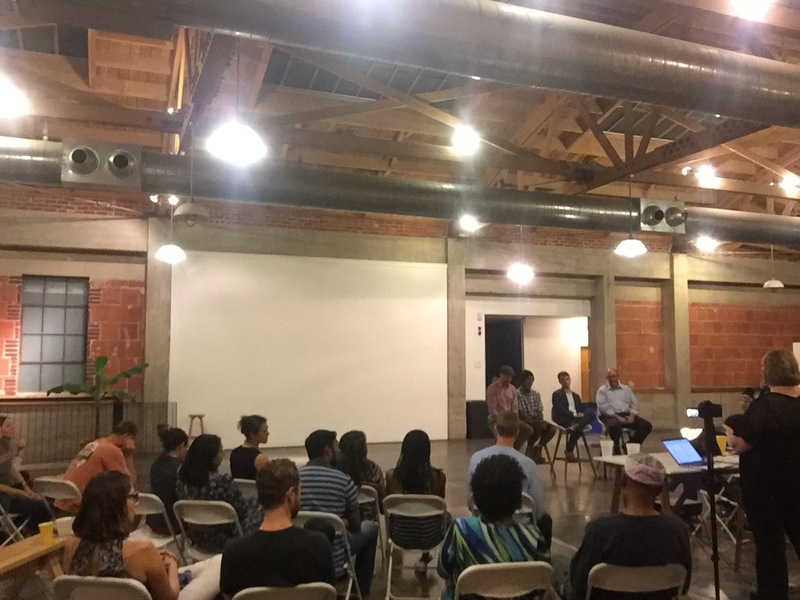 Sandbox used a short-form workshop and panel discussion to help attendees move quickly from helplessness to defining real tangible solutions that the city, and local residents, can do now. 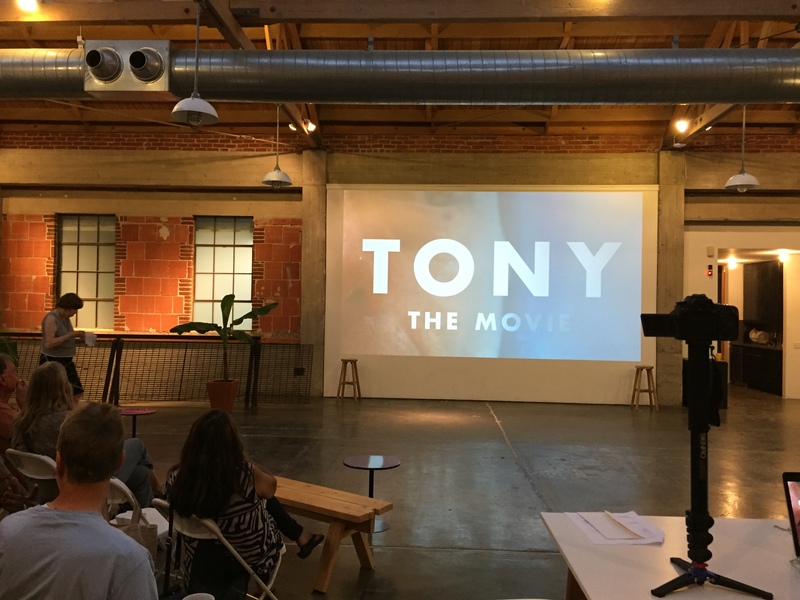 The 100 person audience engaged easily in the topics that Tony: The Movie covered; identifying the challenges they heard and connecting them with potential solutions. A sense of community is at the heart of homeless encampments. It’s human nature to develop connections to particular neighborhoods, belief systems, roles in the community and possessions or keepsakes that bring about a sense of security. However, building community and short-term support has a downside. In the past, shelters were built so well that no one wanted to leave. The consensus: Build social communities within the long-term housing infrastructure to foster a tighter sense of belonging and enable people to adjust faster into their new housing. Easy things are really hard. Charging your phone, scheduling a meeting or storing your goods...typical daily challenges are really hard to do when you don’t have a home. This causes micro challenges to overtake their life, hindering them from tackling the big things. 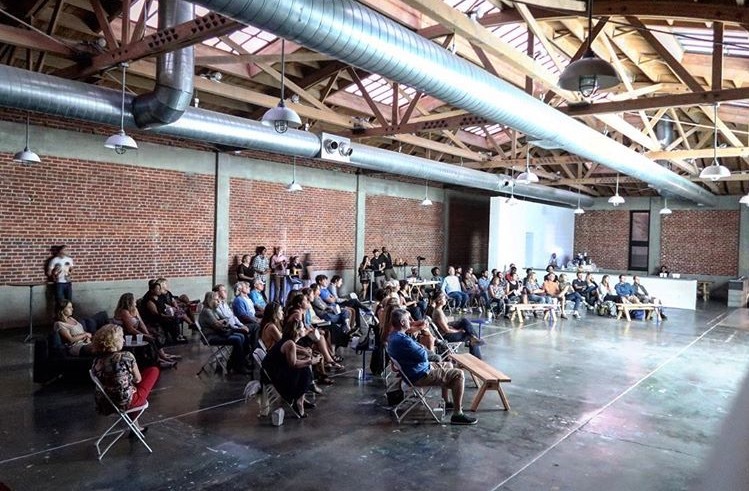 The consensus: We need simple solutions, such as public charging stations or navigator kiosks, to eliminate minor challenges from becoming barriers to connecting with loved ones, services and job opportunities. The rules are not designed from a homeless perspective. Organizations in this space really care, but they put conditions on the care they provide that don’t work for everyone. This is exasperated by short-term housing’s lack of secure, private and decent living conditions. The consensus: Short-term housing organizations need to rethink the care they’re providing to eliminate the no-win tradeoffs of using their service. Everyone plays a role in addressing this situation. As a city, where the cost of living as one of the highest in the U.S., we need to revisit our current housing inventory and find balanced models for the future. The consensus: We need the big picture to expedite action: an integrated system documenting all housing resources, and demonstrating the type of demographic needs. would help provide the big picture of needs. A certain portion of housing needs to be set aside for our struggling portion of the population. We need to hold our developers and politicians accountable and we as citizens, need to be more heavily involved to make this happen. It’s hard to overcome your circumstances. When dignity is lost and barriers are compounded, it’s hard to stay positive. Willpower, confidence and hope are the first casualties. The consensus: The faith community has a very real opportunity to support and foster these attitudes in homeless populations; to enable positive momentum. We also saw an opportunity to create jobs through connecting people to homeless individuals with skills. Driving awareness through movies like this, builds public empathy. It allows us to connect connect with people who don’t normally have a voice. This positive conversation led to very real, simple solutions; and also to an audience awakened to the challenges our homeless population face. Thank you Dennis. 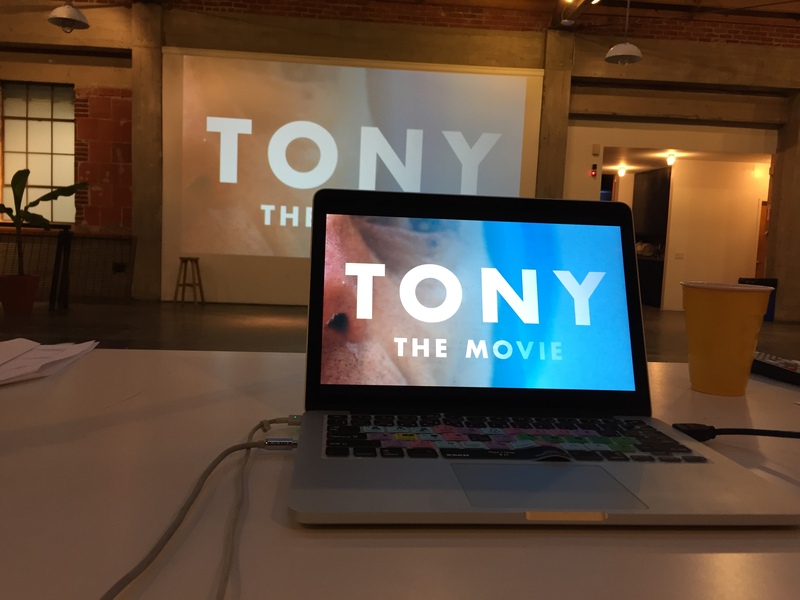 Without picking up your camera and finding value in Tony’s story we would all be less enabled. Advocate: Do your homework. Read the Regional Community Plan to End Homelessness and try to identify change agents and decision-makers in your network. Get involved in the conversation and determine how/where you can provide support for the cause! Help People: Try befriending a homeless individual and understand what he/she needs. Be a mentor to help direct them to local resources and/or shepherd them to services that can help resolve the situation. Once you have a solid understanding of the situation, advocate for improvements!